The Central Coast Lifestyle is one of the key components to happiness for its residents. Two major elements of this positive existence are community spirit and an emphasis on healthy living, specifically through local organic produce. With that in mind, SLO Safe Ride and Talley Farms have teamed up as community partners to put a new twist on their respective products: Talley Farms Fresh Harvest boxes delivered right to your doorstep by the sure hands of SLO Safe Ride employees! 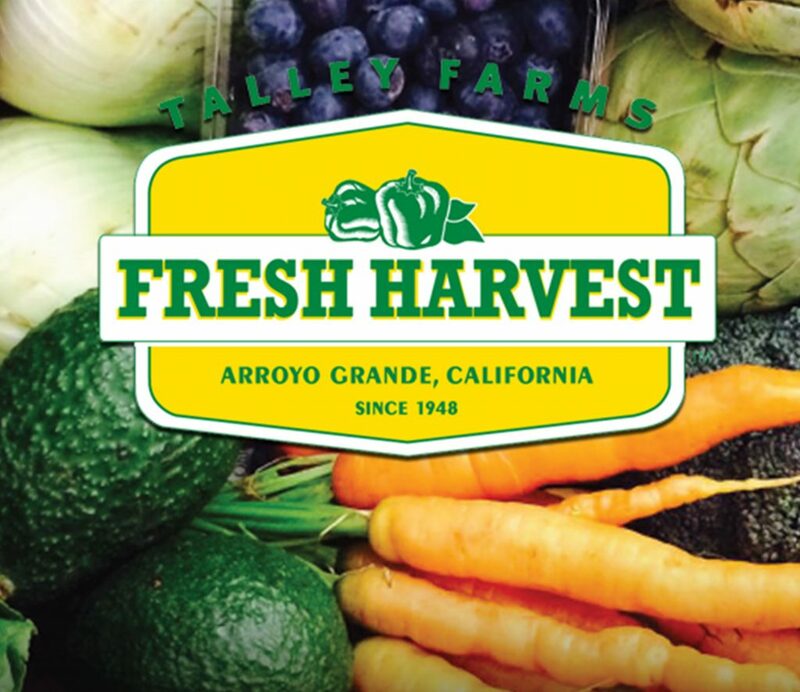 Talley Farms has been supplying San Luis Obispo and the Central Coast with delicious fruits and vegetables since 1948. Throughout that time, they have been renowned for the quality of their Arroyo Grande-grown and outsourced produce, as well as their phenomenal customer service. In 2012, they launched the Talley Farms Fresh Harvest CSA program, which allowed for fairly-priced produce to be bundled weekly into a convenient box that could be picked up at various depots. That service has gained popularity, as evident by the number of subscribers and pickup depots. 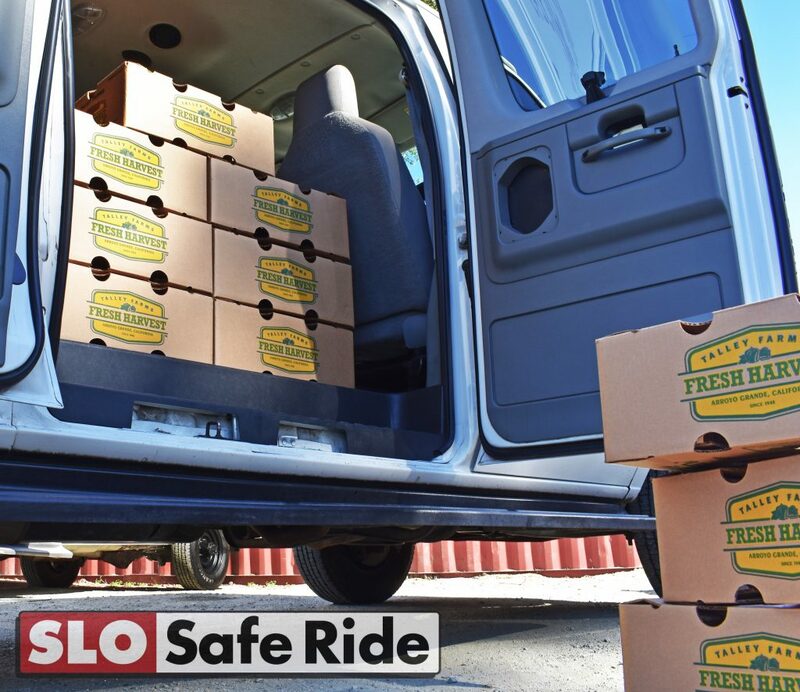 One option that was inquired about regularly was a home-delivery subscription, and SLO Safe Ride stepped into the fold to provide the wheels for a successful partnership. The Talley Farms Fresh Harvest box has been hand delivered by SLO Safe Ride since the beginning of 2018. The box is dropped directly to your door (or wherever else you might specify), meaning you can have a diverse trove of snacks and meal components waiting for you when you get home! For SLO Safe Ride, it represents a new community partner and product line for their vehicles. While residents of San Luis Obispo are used to seeing wine tasting or beer tasting tour vehicles around town, there is now another form of transportation to ensure that people can enjoy their lives without having to worry about logistical details. Most importantly, it ties two family-oriented businesses together in a program that shows pride in the Central Coast. Best of all, it is incredibly easy and affordable to subscribe for the Talley Farms Fresh Harvest delivery subscription! Visit their site at https://talleyfarmsfreshharvest.com/how-to-order, send an email to Lisa@TalleyFarms.com, or give them a call at (805) 489-5401. There’s no better way to treat yourself while living on the Central Coast!